AM&P's Signature Magazine Spotlights the Kantar SRDS and James G. Elliott Co., Inc. Study of Media Planners and Buyers — Outsourced Media Sales | James G. Elliott Co., Inc.
Outsourced Media Sales | James G. Elliott Co., Inc.
March 23, 2016 / James G. Elliott Co., Inc.
Why do so many associations avoid calling on advertising agencies to find new business? It may seem counterintuitive to go to a third party to make a sale when the association has built its stronghold in the marketplace on its own member relationships. Or it could be not fully understanding how selling to agencies differs from selling directly to clients. The truth is, you need a balance of both. At a time when so many types of organizations are publishing and marketing content–and the options for delivering advertising to potential buyers just keeps growing–association publishers can't afford to ignore the potential for increasing their ad sales by marketing their brand to agencies, say Jim Elliott, president of James G. Elliott Co., Inc., and Steve Davis, president of SRDS and Kantar Media Health Research. 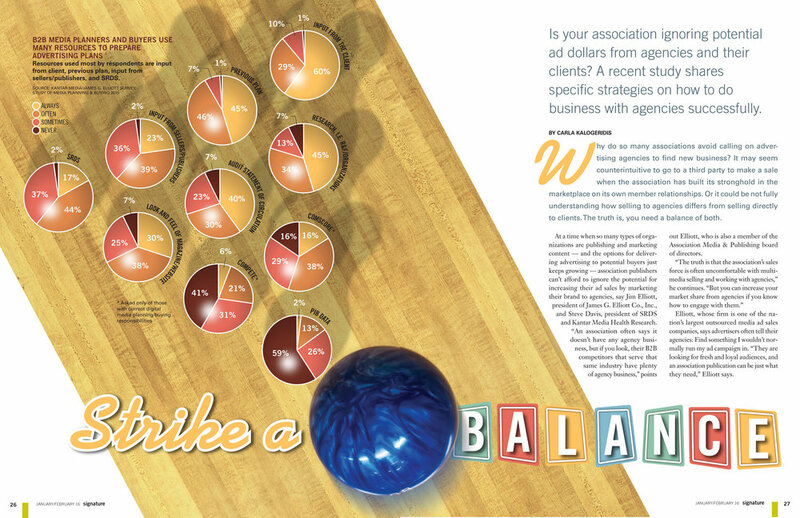 "An association often says it doesn't have any agency business, but if you look, their B2B competitors that serve that same industry have plenty of agency business," points out Elliott, who is also a member of the Association Media & Publishing board of directors. "The truth is that the association's sales force is often uncomfortable with multimedia selling and working with agencies," he continues. "But you can increase your market share from agencies if you know how to engage with them." Elliott, whose firm is one of the nation's largest outsourced media ad sales companies, says advertisers often tell their agencies: Find something I wouldn't normally run my ad campaign in. "They are looking for fresh and loyal audiences, and an association publication can be just what they need," Elliott says. The study pointed out that the trend toward fewer annual schedules translates into a less predictable workload for agency buyers–and that often accounts for their last-minute requests for proposals from publishers. "Agency buyers are time starved," as Elliott puts it. "Advertisers wanting a discount is a fact of life," says Elliott, "so raise your rates a little every year so that you have a margin to negotiate." In fact, Elliott says that association sales staff should be taught the skills of negotiation. "You need to say to the agency or advertiser: 'That rate is there for a reason, but what I can do is work with you on frequency or value add, etc.'" James G. Elliott Co., Inc.